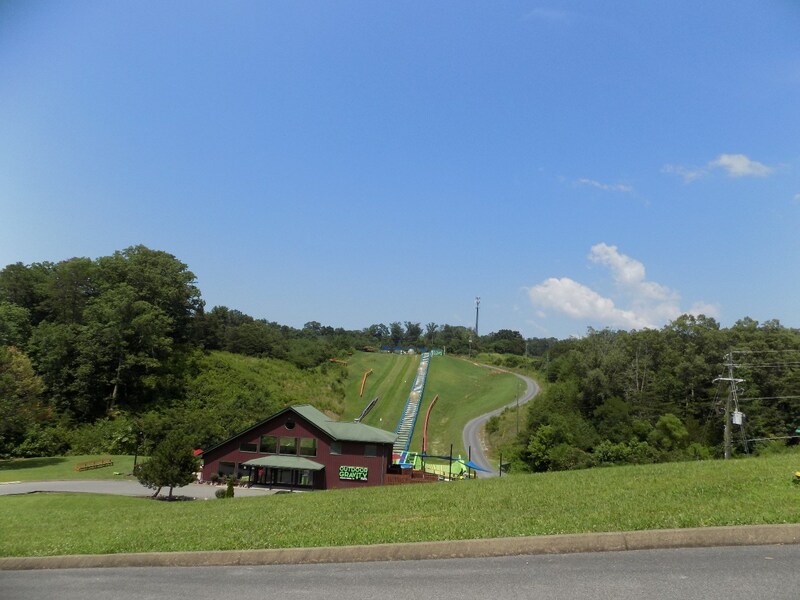 An exciting outdoor attraction that’s ideal for the whole family, Outdoor Gravity Park offers a variety of thrilling outdoor rides in a convenient Pigeon Forge location just off the parkway. 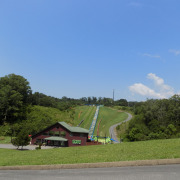 Guests can enjoy riding down the 1,000-foot hill on one of three courses — the Speed Demon, the FUNnel, and the Extreme Zig-Zag — in wet rides during Summer months, or dry rides in the Fall and Winter. Wet rides for Summer, and dry rides available in the Fall and Winter. Five courses, both straight and zig-zags, down 1,000-foot hill. Rides are priced per person so each person riding in the ball needs a roll. For example, 3 people riding together counts as 3 rolls. Located off the Parkway in Pigeon Forge at Traffic Light #1. Must be 6+ to ride alone. A 5-year-old can ride with an adult. Bring a change of clothes for the wet ride. 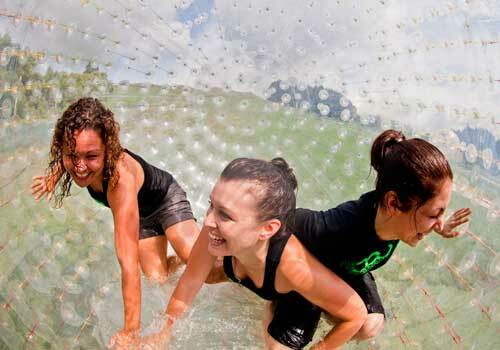 Come zorbing at the Outdoor Gravity Park. 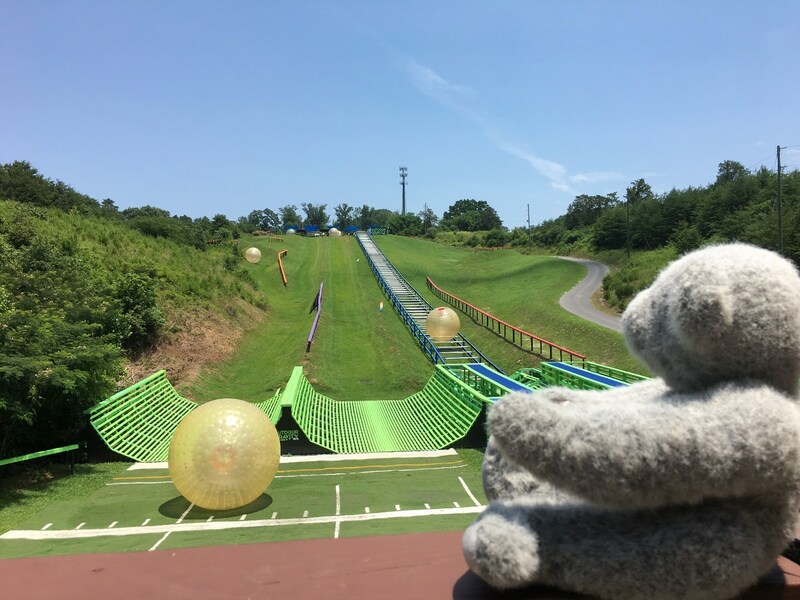 Pigeon Forge’s newest attraction featuring H2OGO zorbing with warm water, where you slip, slide and get wet, still without any tumbling. The fast and adrenaline-packed descent is akin to a bouncy water slide. If you choose to get wet bring your swimsuit and towel -- this center is open, rain or shine (or cold). 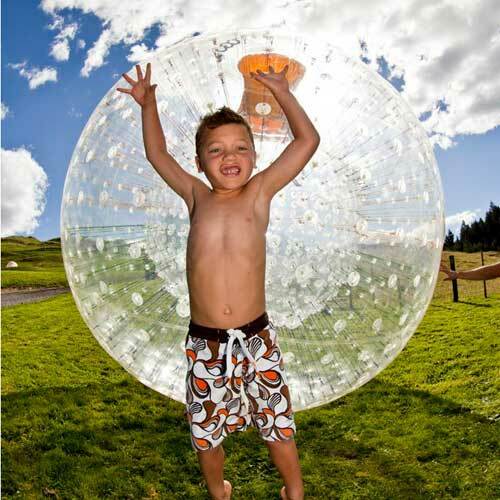 During the fall and winter the Outdoor Gravity Park offers DRYGO, dry zorbing. The DRYGO is made up of three plastic spheres, one inside the other. The largest one is 11 feet in diameter. The middle sphere contains a cushion of water, and the smallest sphere slides around on the water layer. One, two or three passengers make Superman-like dives into the inner sphere and stay totally dry as they roll down a steep 1,000-foot-long hill. The passengers slip and slide without any tumbling as the smaller sphere spins inside the middle sphere. The DRYGO is subject to seasonal review. 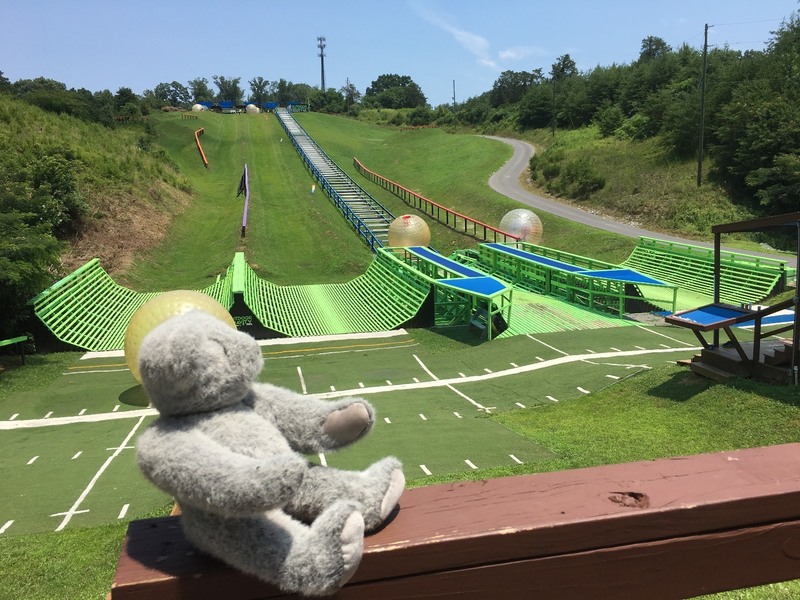 Outdoor Gravity Park has carved five OGO routes down the hill. Two of the routes are straightaways, and three are zigzag routes. “Our site is 17 acres, and we have plenty of room to grow. We plan to add to more attractions this summer. Rest assured that both will feature gravity and fun,” says Chris Roberts, an owner and mechanical engineer. 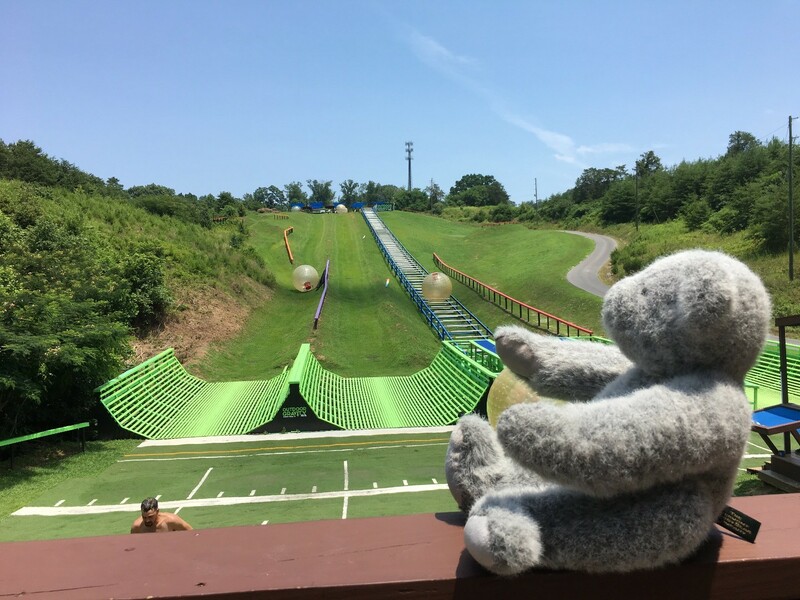 Outdoor Gravity Park is located on the former Zorb site that features the New Zealand iconic OGO adventure, just off the Parkway in Pigeon Forge at Traffic Light #1. **Each Roll is considered 1 Person Zorbing. 3 People Rolling together are considered 3 Rolls. How many people can roll together? 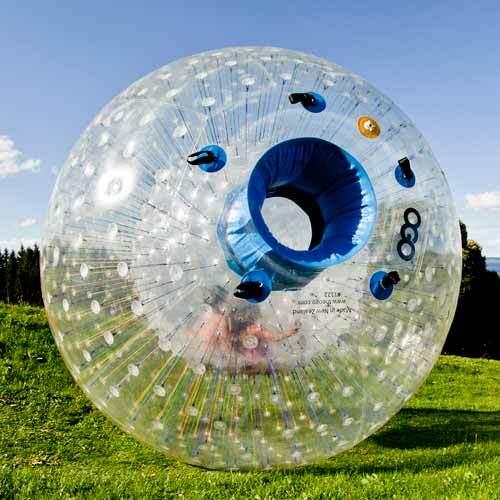 Up to 3 people can go zorbing in the OGO. We sell our rolls by the person. 1 paid roll is good for 1 roll for 1 person. If 3 people are rolling together, each person would need to purchase 1 roll for a total of 3 rolls. The 3 Rolls ticket type can actually be shared for 1-3 people to ride together. Can the little ones ride by themselves? Our age restriction is 5 years old with an adult, and 6 years old to go by yourself for the OGO. Is there a height or weight restriction for the OGO? There no height restriction but a 260 lb weight limit. Do you tumble down the hill? No, with the H2OGO you slip and slip along the bottom of the OGO. How many courses do you have? We have 3 courses: the Speed Demon, the FUNnel, and the Extreme Zig-Zag. Should I bring a bathing suit and towel? We have dry and wet ride options. If you're prepared to get wet, then bring your stuff. We have changing rooms on site. Or if you'd rather drip-dry, we're cool with that too! The OGO is an 11-foot transparent sphere constructed of 300 square feet of plastic. We offer a dry or wet version. 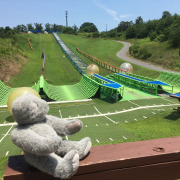 The H2OGO wet version is a wet in wild experience and the most popular way to roll down a hill, the water inside makes it slippery for riders to slide inside, no dizziness or tumbling, just good clean fun! Is there a wait time? On busy days there could be a short wait but we have added another track so our capacity has increased. Over the summer if you want to avoid the wait we recommend you come before 11:00 am or after 4:00 pm. 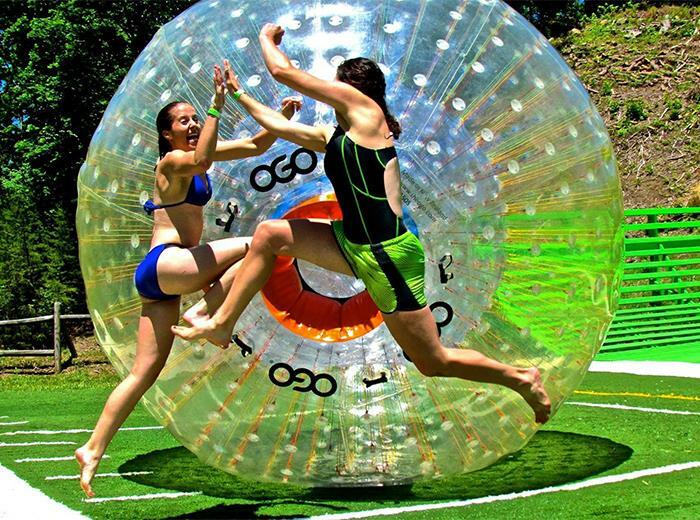 We get asked a lot about zorbing and is rolling in the OGO the same thing. Basically the answer is “yes” but we like to think we are MORE FUN! 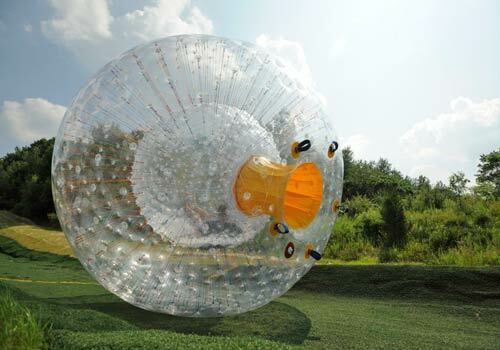 Zorbing is an activity of travelling downhill inside a large air-cushioned hollow ball. 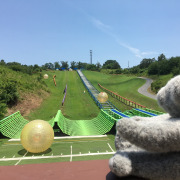 Is Outdoor Gravity Park affiliated with Zorb? 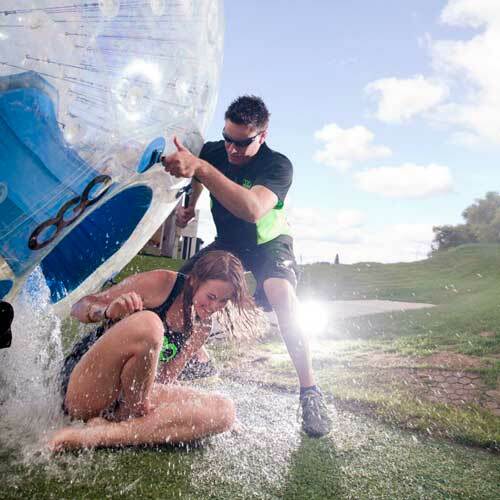 No, we have no affiliation with Zorb. 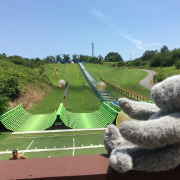 The Outdoor Gravity Park is located on the old Zorb Smoky Mountain site and we do offer zorbing as one of our activities. The Outdoor Gravity Park has added tracks, made the rolls longer, and the experience is superb. 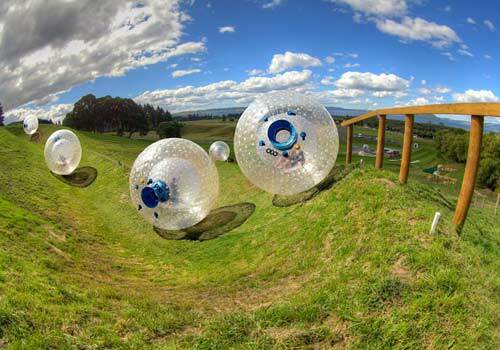 Our partner OGO site in New Zealand is run by the founder of Zorb.